Digitalization of business processes, integrating the management of the 7 Plants of the company thanks to SAP ERP and SAP Orchestration Process. http://www.domiberiagroup.com/info/wp-content/uploads/2015/02/logo_header_01.png 0 0 cuatromascuatro http://www.domiberiagroup.com/info/wp-content/uploads/2015/02/logo_header_01.png cuatromascuatro2018-09-27 09:02:072018-10-01 09:49:26Digitalization of business processes, integrating the management of the 7 Plants of the company thanks to SAP ERP and SAP Orchestration Process. 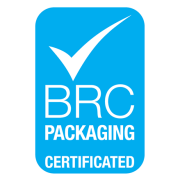 The plant of Domiberia Molina de Segura has just obtained the BRC IoP certification with the highest rate (Grade AA), a faithful reflection of the great work carried out over the last months and the effort of the whole team to continue improving on a day to day basis. With the certification of the Molina de Segura plant, the company has met its target of having all Domiberia plants certified according to the BRC standard, all of them with the highest rate (Grade AA) during the last certification cycle. Each and every one of the people who form part of Domiberia have worked towards this objective, as a tool to become World-Class in manufacturing and delivering packaging and services to our customers. Congratulations to all those who have made it possible. 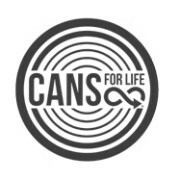 Empac, European Metal Packaging, the association bringing together European producers of rigid metal packaging and their supply chain partners, has recently launched an innovative social media programme: Cans for Life. Through creative, zany, and inspiring stories, the numerous everyday uses of metal packaging are highlighted. Cans for Life covers environmental topics and provides advice on how to upcycle empty packaging after its use, as well as on how to cook a delicious and healthy meal with canned food, how to use cans to decorate, and which artists have chosen cans as the basis for their art work. Certification of Quality Management, Safety and Environment Systems. 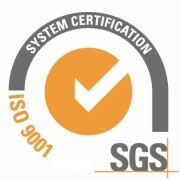 Last November and December the certifying company, SGS, conducted audits of our management systems related to the ISO 9001 (Quality), ISO 14001 (Environment) and OHSAS 18001 (safety) standards, obtaining positive results. Obtaining the multi-site certificate for the Domiberia, S.L.U. plants is an important milestone, which encourages us to continue improving every day in anticipation of the annual monitoring audits. We thank all those involved in obtaining these certificates, which undoubtedly represent a qualitative advance in everything that comprises our business enabling us to provide the best products to our customers. http://www.domiberiagroup.com/info/wp-content/uploads/2016/04/ISO9001-color.jpg 404 404 cuatromascuatro http://www.domiberiagroup.com/info/wp-content/uploads/2015/02/logo_header_01.png cuatromascuatro2016-02-20 10:05:392016-04-13 10:06:51Certification of Quality Management, Safety and Environment Systems. Last January, Domiberia completed the SAP-ERP implementation Project in all our Plants in Spain and The Netherlands. An excellent work together with our SAP partner Seidor, the system has been deployed in 6 manufacturing Sites, meeting targets, delivery time and budget. Miravalles and Montmeló Plants went live in August 2015; Horst in November 2015; Agoncillo and Murcia in December 2015. With Vigo going live in January 2016, the process of changing the enterprise management system was successfully accomplished. We want to recognize Domiberia’s Project team for the hard work and the long hours. We also want to emphasize the commitment and professionalism of Seidor’s team, who was key in the success of this project in such a challenging deadline.